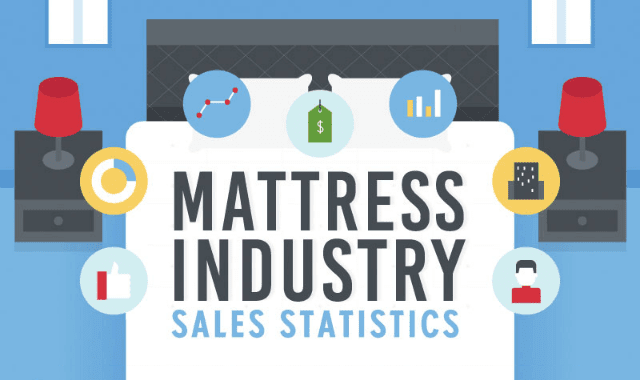 Mattress Industry Sales Statistics #Infographic ~ Visualistan '+g+"
HomecareHospitalBeds.com has released the sales numbers of the mattress industry in the infographic below. The mattress industry in the United States generates $7 billion dollars in annual revenue. Department stores, warehouse clubs, specialty and furniture retailers are responsible for generating this tremendous revenue. Direct sales are also a part of this lucrative industry. You will also be surprised to learn the fascinating details of this massive mattress industry.